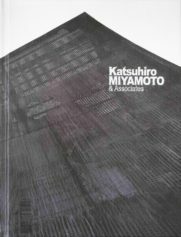 A comprehensive selection of works by Katsuhiro Miyamoto has been published. From 1992 up until 2016, including works in progress. Foreword by Dana Buntrock, professor of architecture at UC Berkele. The Book has 726 pages comprising of explanatory texts, photographs and drawings. All in color. All in English.